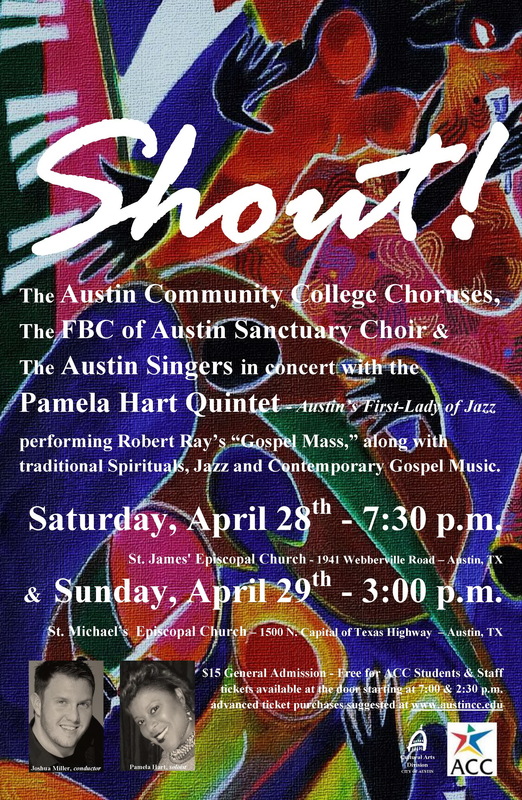 along with traditional spirituals, jazz and contemporary gospel music. Saturday and Sunday afternoon: $15 General Admission – Free for ACC students and staff. Tickets available at the door. Sunday morning: Contributions will be accepted. This sounds like a wonderful program! 🙂 Will your performance at 11am on Sunday be part of a regular worship service, or will it be the musical performance alone? The performance is part of a regular worship service but it will be mostly the musical performance with a few prayers thrown in. Hope you can come!